Hello and welcome to the 191st instalment of the SWD. The Syrian Democratic Forces have launched multiple offensives against ISIS targeting different fronts. On the eastern front, SDF forces claim to have killed 7 IS members in al Mansur district. On the western front, SDF captured some of the ISIS-held missiles after with Cyrillic scripts on it, and also captured a munitions and mortar shells factory. The US-backed forces targeted the Al-Nahdah area before storming ISIS units. SDF killed eight IS members in the al-Maroor district, five in Nahda neighbourhood, and four in the Bitani district. 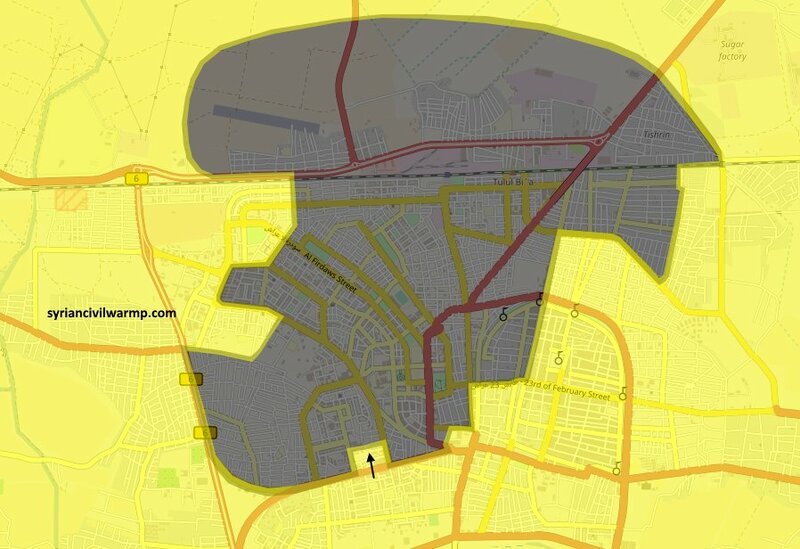 Additionally, SDF captured the Children’s Hospital and the southern Mosque in al-Moor district. The Syrian Arab Army and tribal forces were attacked by an ISIS counterattack on the recently captured villages of southern Raqqa. The elite unit Tiger Forces sent reinforcements to help tribal fighters against ISIS forces. 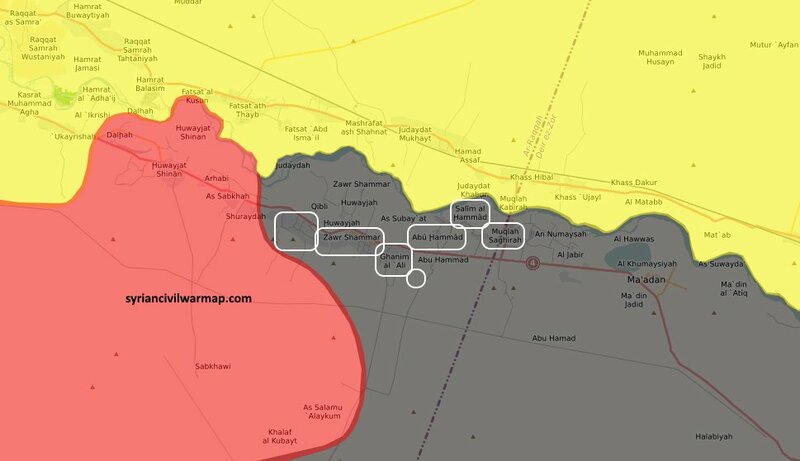 Government forces have retreated from Muqlah, Salim al-Hammad, Abu Hammad, Subayat, Ghanim al-Ali, Zwar Shammer and Al-Jabali, which were captured by the Islamic State. Meanwhile, the Islamic State militants managed to kill an unknown number of SAA and allies soldiers using a SVBIED in the southeastern village of Ghanim al-Ali. Also, the IS forces captured some vehicles, weapons and ammunition after they successfully did a night raid. Images published by ISIS sources show that the terrorist group managed to kill a large number of the Syrian Arab Army soldiers, apparently more than 30, and not tribal fighters as other reports suggested. Government forces shelled the northern city of Anadan with artillery. The Syrian Arab Army opened a new axis in east Salamiyah countryside and captured point 9 and point 7 in the mountainous area of central Hama. The newly captured “point 7” is a key area since it is one of the most fortified points and positions in the area. Government forces have shelled the town of Lataminah in north Hama. Meanwhile, the FSA group “Abu Amara Special Task Brigade” claimed its first operation outside the Aleppo governorate as they successfully managed to blow up an ammo depot in Suqaylabiya, in northwestern Hama countryside. The SAA Tiger Forces have captured new territories in the area of Tuwaynan mountains. Additionally, government forces also found and captured an ISIS underground base in the mountains located south of Bir Qadim village, which is close to Tuwaynan area. Around the Sukhnah area, an ISIS ATGM has hit a Syrian government tank with unknown results. Footage shows a direct hit on the left side of the tank at a moment when the crew was not inside. 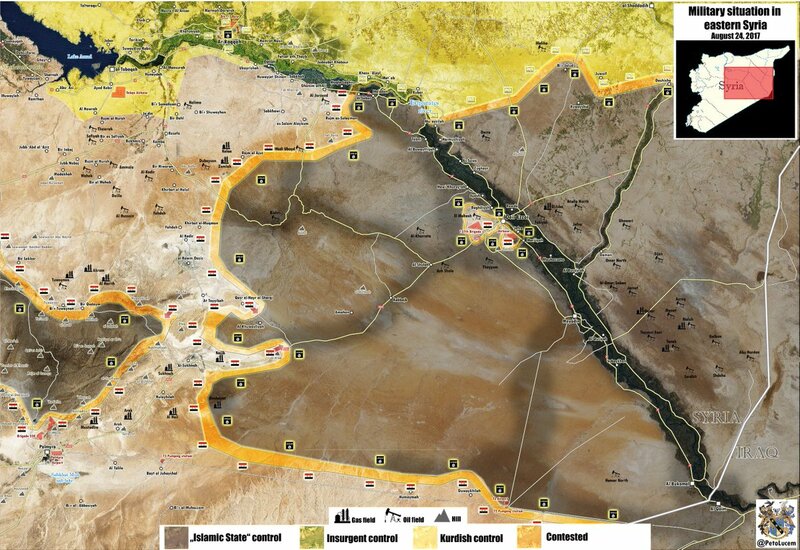 At the same time, SAA is positioned 25 km east of Sukhnah and has shelled ISIS positions on the Homs eastern desert. The Islamic State claimed to have destroyed a government-held bulldozer with an ATGM somewhere north of Humayma. According to some sources, the Islamic State have asked Hezbollah and the Syrian Arab Army for a safe withdrawal from west Qalamoun to Deir ez-Zor area. For more information, you can read this article. An exchange of prisoners has taken place today between Jaish al-Islam and the Syrian authorities as the first exchanged 14 children, 12 men, and 10 women, for 11 government soldiers. On the 23rd of August 2017, CJTF-OIR has conducted 12 strikes in Syria. CJTF-OIR‘s main focus in Syria is Raqqa region where they did nine strikes supporting SDF‘s operations against IS destroying 11 fighting positions and a vehicle. Another area where three strikes occurred is Deir ez-Zor destroying three ISIS headquarters and an ISIS-held building. The full report on CJTF-OIR strikes conducted in both Syria & Iraq can be found here.